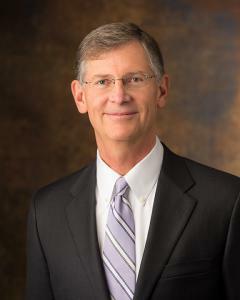 SALT LAKE CITY, UTAH, USA, July 2, 2018 /EINPresswire.com/ -- Led by President and CEO Emeritus Charles W. Sorenson, MD, FACS, Intermountain Healthcare is launching a new Healthcare Leadership Institute. The Institute is designed for experienced mid-career healthcare leaders who have the potential to make significant positive impacts on their organization’s culture, strategy, clinical and cost performance. Faculty include leaders from Intermountain, Harvard Business School, Notre Dame, and other leading institutions. The Healthcare Leadership Institute will offer participants the opportunity to increase their effectiveness by strengthening key leadership principles, including vision, character, personal effectiveness, and selflessness. Participants will learn in an immersive and interactive environment from highly experienced and nationally recognized faculty and program peers, advancing both the skills and emotional intelligence to strengthen their ability to effectively lead change at the complex intersection of clinical and operational excellence. Live simulation will be used to assess and hone skills in real-time critical decision making and communication. Case studies and teamwork will engage participants in provocative debate and encourage the building of ongoing relationships. CME credits for participation are planned. The 2018-2019 cohort of the Intermountain Healthcare Leadership Institute registration is now underway. There will be two, immersive week-long sessions (October and January 2019) held at the Intermountain Gardner Transformation Center in Salt Lake City, Utah. More information, including a curriculum overview, faculty bios and registrations information is available at http://Intermountain.com/HLI.